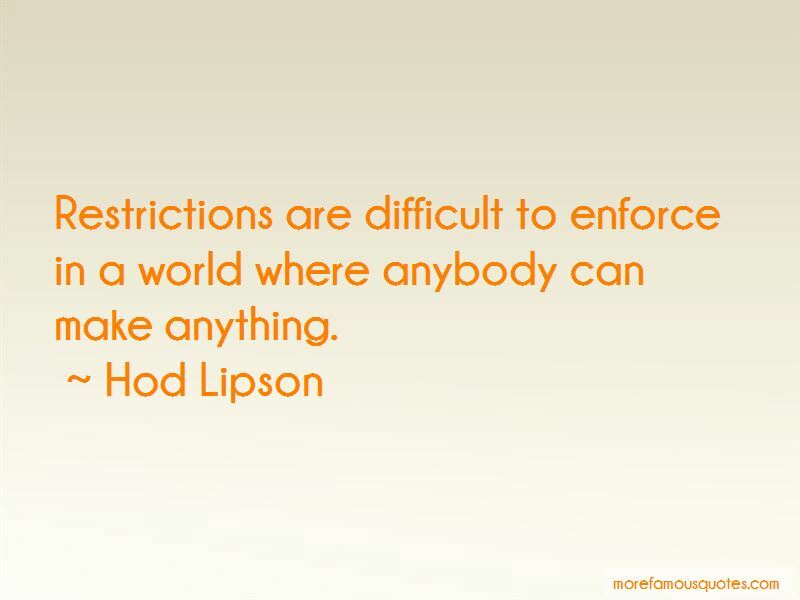 Enjoy the top 16 famous quotes, sayings and quotations by Hod Lipson. 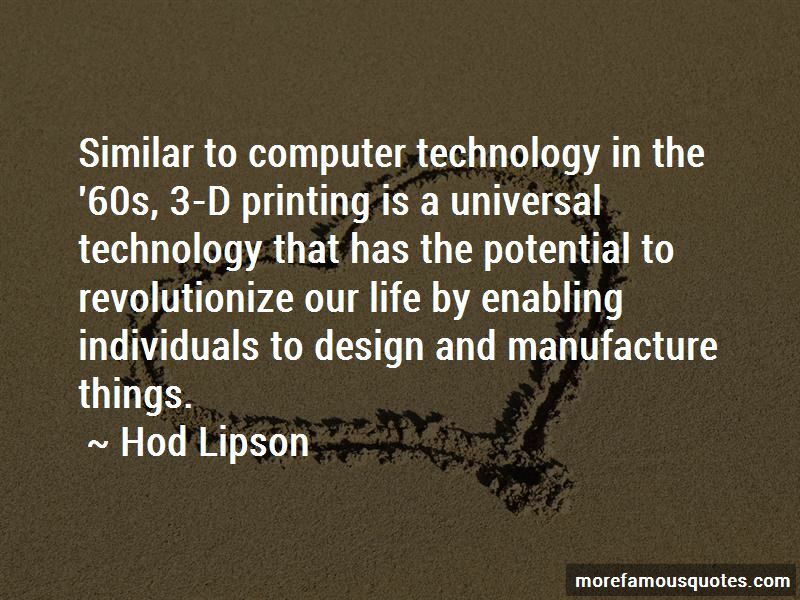 Similar to computer technology in the '60s, 3-D printing is a universal technology that has the potential to revolutionize our life by enabling individuals to design and manufacture things. So, where are the robots? We've been told for 40 years already that they're coming soon. Very soon they'll be doing everything for us. They'll be cooking, cleaning, buying things, shopping, building. But they aren't here. Meanwhile, we have illegal immigrants doing all the work, but we don't have any robots. 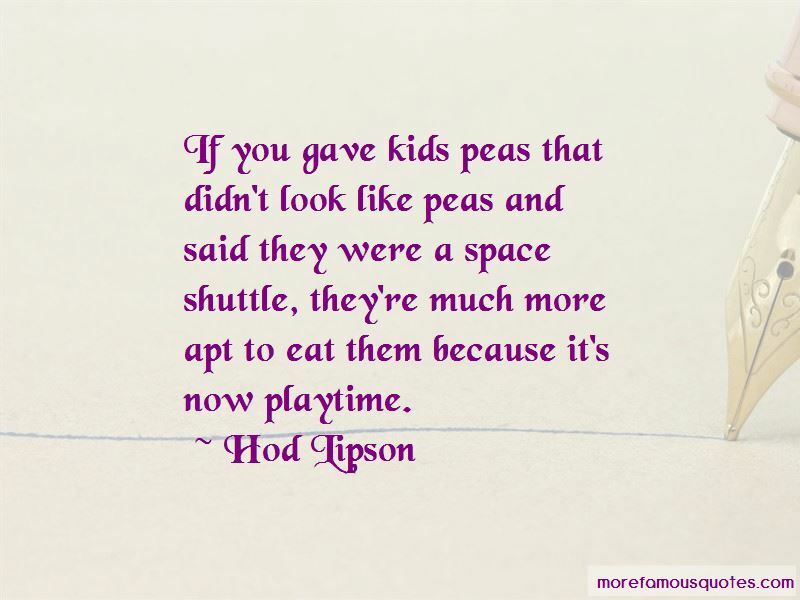 Want to see more pictures of Hod Lipson quotes? 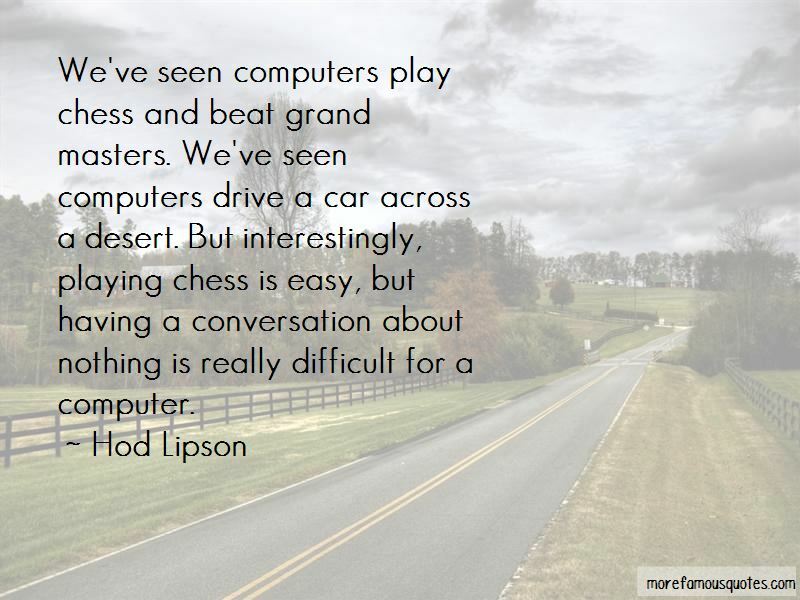 Click on image of Hod Lipson quotes to view full size.